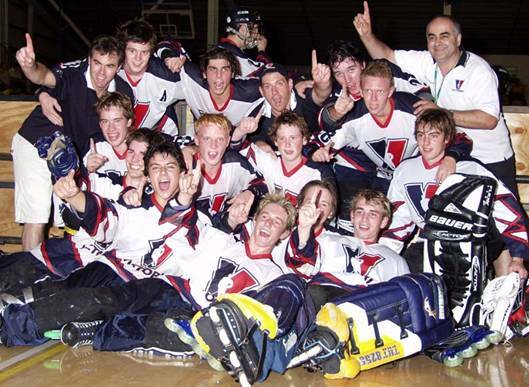 Lots of news and views from ‘Australia’s favorite hockey website’ www.puckhandlers.com … Heaps to catch up on including the upcoming Junior and Senior Silver Cup dates, the fixture for the new Tuesday Night League and also a huge sale in the Puckhandlers Hockey Shop. Anyone out there looking for a one piece stick should contact us for a great deal as we have the largest range in Australia (CCM Vector, Louisville Response, Louisville Rubber Response, Easton Synergy Nike and Franklin Sceptor)! Prices start from $200 and they are selling like hot cakes! Junior Silver Cup – The dates for the junior event are set for July 7 – 13. Players must play for their ‘club team’ in their age group and are then free to play in a composite team in the age group above if they wish. The tournament has heaps of interstate interest and will have 40 teams competing. The age groups for the tournament will be U10, 12, 14, 16 and 20. 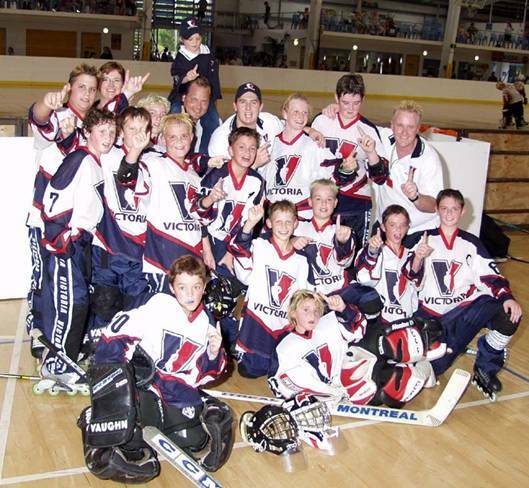 State players from the 2003 Nationals in Caloundra are not eligible to play in their respective age group. Many teams are already booked so if you are keen to participate make sure you get your team organized quick to ensure you and your team don’t miss out. The event will be aired on Channel 31 again! Senior Silver Cup – Three divisions will split up the talent levels in the senior event, Paper, Bronze and Silver ($1,000 prize money). Dates are June 28 – July 6, interstate teams will only play July 3 – 6 and all games will be played outside ‘normal’ working hours. No Senior state or Pro league players are eligible to play. TV Ratings – Channel 31 sent us out the ratings from our past Junior Silver Cup in January. Amazingly we had 5,000 TV sets tuned into our show for the recent event which is awesome! The show was aired a second time about two weeks later to fill a gap and had abother 3,000 sets tuned in! Some positive signs for the future and once again a big thank you to www.helmethead.com.au for their assistance making the TV show a hit. Puckhandlers Gossip Board – As usual the Gossip Board has its usual interest and controversy… worth a read every so often to find out what is happening around Australia in the different hockey circles. The Australian Ice Hockey League fired up again recently and the games are always getting a bit of air time, always a good read! 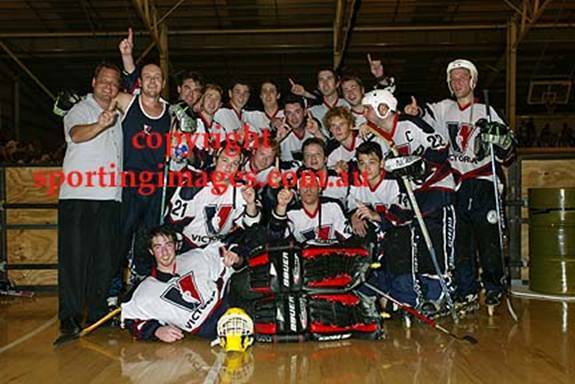 Anyone out there keen to get a day off school to play some inline hockey should contact karl@puckhandlers.com or download all of the information off our website at www.puckhandlers.com Follow the links from the IIHL page. Australian Nationals - The Australian Nationals were held in sunny Queensland this year on the Sunshine Coast. The tournament was fantastic with an excellent sports venue converted into an inline hockey rink for the week in Caloundra. Once again the talent on offer for the entire week was amazing from the Under 12’s all the way up to an extremely close Mens division. Every year I attend the Nationals I leave incredibly pumped as to the potential this sport has… the U12 grand final in particular was great with the Vic’s pulling off an upset win against the favored defending champs Queensland in the dyeing seconds (Puckhandlers regular Jamie Bourke scored the winner and also Kasper Hubiak and Josh McGuire deserve an honorable mention for playing a big game in the granny). Hockey Shop Sale – Prices slashed for the new season, check these prices out!! Everything is priced to go including a huge range of second hand equipment. If you would like to purchase anything or enquiring about a price, please send through an email to karl@puckhandlers.com for an immediate reply. Goods will be sent same day for quick delivery. That is it for this edition of the Puckhandlers.com News… archives for the newsletters can be found on the ‘Karl’s News Bench’ page of the puckhandlers.com website for anyone looking to see them. Hope to see everyone at our upcoming tournaments in June/July which should be a lot of fun and if you are interested in nominating a team please contact me soon as the spots are limited in both of the events. Please pass this information on to anyone who might be interested in the content.